Hi there crafty friends. I wanted to take time today to let you know that the Joy Clair October Challenge has begun. 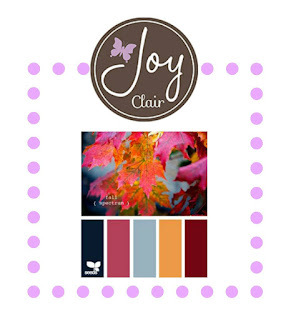 Using the Fall Time Planner set released in September to make my sign. I used pattern paper from my stash as the background and adhered it to kraft cardbase. I then used my scan n cut to make the cutting of the maze, some raffia from my stash and stamped the sign with Navy pigment ink from Amuse. The challenge is to use at least 3 colors from the above palette. Come on along and join in. 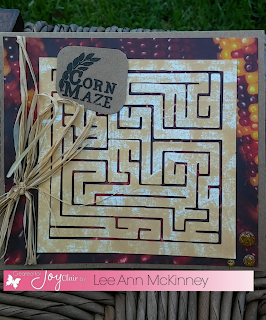 LeeAnn, that is an awesome maze diecut from the stamp! Fabulous card! 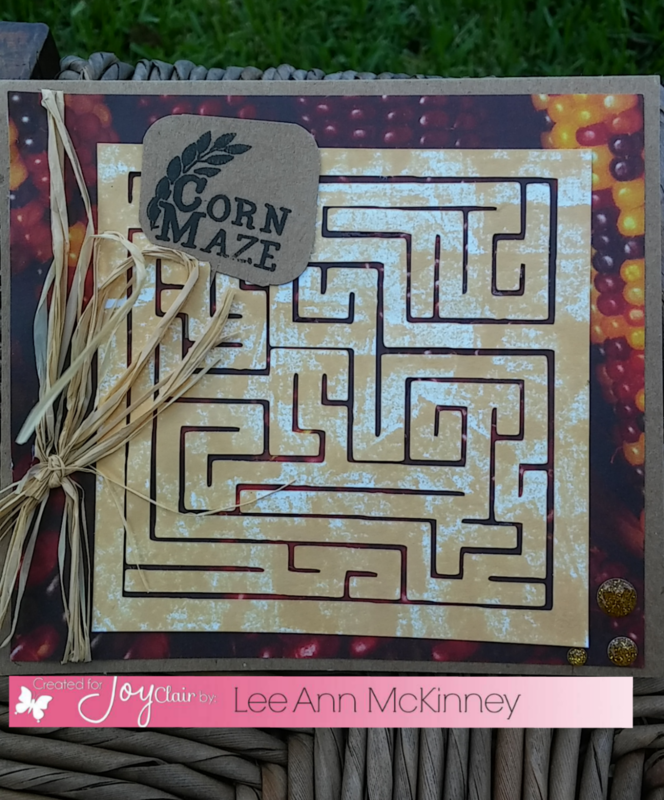 LeeAnn I love your colorful corn paper behind that awesome corn maze! I miss the days when my daughters were younger and we went to the corn mazes!